Yes, you can DIY your wedding save the dates. I made our save the date and I lived to tell the tale. 1. It will take a long time, and even more time than you anticipated. 2. 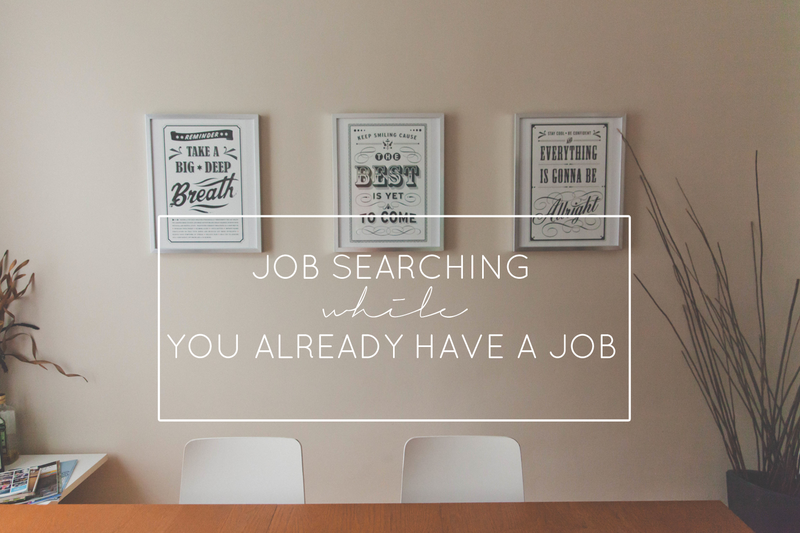 You don't have to be a design maven. 3. While it is a lot of work, its's worth it. It will be a really fulfilling personal touch to your wedding. There are tons of resources available if you want to make your own Save the Dates. Before you getting into all the resources, you have to decide how much you actually want to DIY. I DIY'd pretty much the whole thing -- I designed the image, printed the cards, labeled the envelopes, and stamped them all myself. I decided not to handwrite the addresses since I don't have best penmanship so I printed them with my home printer. You can obviously manage the whole process like I did or some variation. I'll outline all the different options for you below. If you want to design the card yourself, spend some time on Pinterest and perusing Etsy to get a sense of what you like. Do you want a picture or text only card? Do you want something clean and minimal, or do you want a full space? Once you have an idea in your head, the design process will be a lot easier. Use something you found and liked for inspiration! If you don't have a photoshop application to use to design the card, check out PicMonkey or Canva. Both are online graphic design and photo editing softwares that make design super easy. Even if you aren't a design wiz (I'm certainly not!) 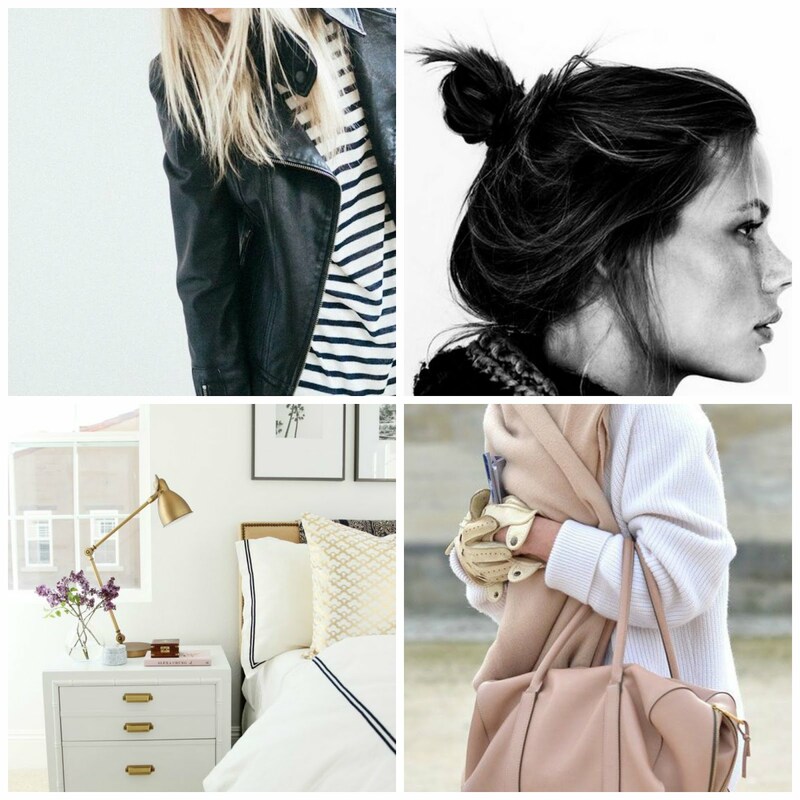 PicMonkey and Canva are easy to use and will allow you to make a professional looking design. PicMonkey also has loads of design tutorials that should help you get started. PicMonkey has preloaded fonts but you can also use any font on your computer so check out DaFont.com for tons of free fonts you can use. I also spent quite a bit of time looking on the Paper Source website for inspiration. I took one of their workshops on invitation making and it was really helpful. It gave me lots of ideas for my own card. If you don't want to design the card yourself but want to make it yourself to save money, check out Etsy for printable designs. There are tons of beautiful options for less than $10. You can buy the design, edit the language to reflect your wedding information, and print it yourself. I used my at home printer for all of our printing. I bought all of the cardstock at Paper Source and printed it at home. I tried to manage the process in small batches so printing at home was the most convenient. You can also take your own cards to Staples or FedEx Office (formerly, Kinkos) and print there. There are also loads of options for online printing where you simply upload your design and the prints are delivered to you. You can use Vista Print or Moo.com or even Staples. Regardless of how you print, make sure to test print! Don't just look at the design on your computer; print a hard copy to see what it will actually look like in hand and make design adjustments accordingly and if needed. While I love the look of calligraphed addresses, I knew I didn't have the penmanship to do it myself. 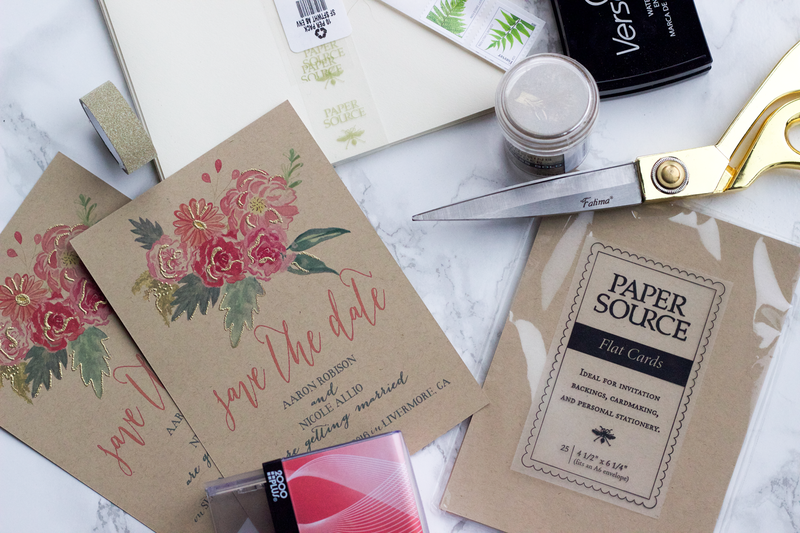 There are plenty of calligraphers for hire but since the point of making my own save the dates was to save a few pennies, it didn't make sense to hire someone to hand letter an envelope that was going to end up in the trash eventually. I printed addresses directly on the envelope in the same font I used on the save the date. If you decide to hand letter your envelopes, check out The Lettermate to guide your spacing. For return labels, I ordered a customized return stamp from StampJoy. It came within four days of ordering and looked exactly like the mockup. I highly recommend StampJoy! 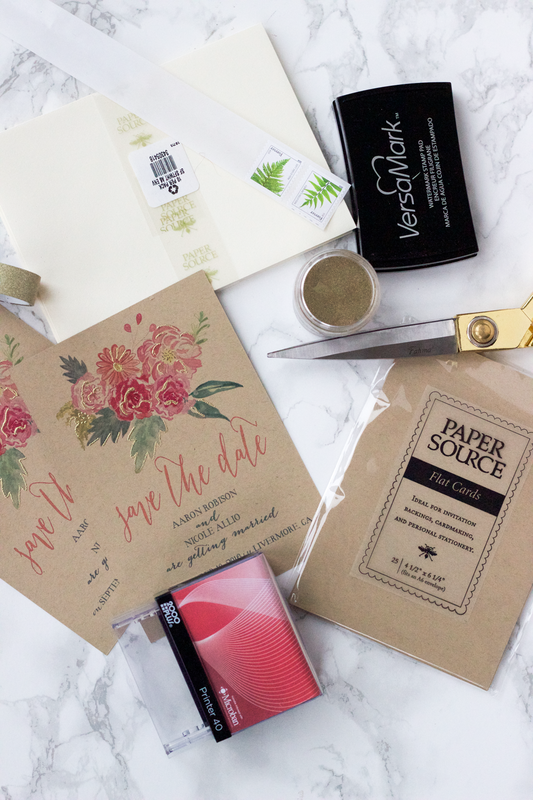 Most of the Save the Dates I liked from traditional paper retailers like Minted, Wedding Paper Divas, Etsy and Paper Source were around 2.50 a card not inclusive of postage. I spent just over $100 for my save the dates on paper, envelopes, postage, and my customized return stamp and my cost per card came down to $1.28. Depending on how many you plan to make, the cost savings can really add up! Though it took me a few weekends -- a rough, generous, guestimate is that it took something like 12 hours total -- I was happy to save the $100 to put back into our wedding budget. As you fellow brides know, costs add up FAST so it was great to save just a little bit on our save the dates. It would take even less time if you enlisted the help of your bridesmdaids and family. Did you make your own Save the Dates, too? Any advice for me as I make the rest of my wedding stationery? Let me know if you have any specific questions. I am happy to help! LOVE this idea! I always love receiving something homemade and with a personal touch! Homemade Save the Dates are a great way to save money, and apply the savings elsewhere. Thanks for sharing love! LOVE everything about this! Especially the font you chose for the Save the Date part! Do you happen to remember the name of the font? Thank you!! It is called Bombshell. I love it! Another printing option that makes gorgeous and art-filled designs for business cards, mini cards and other custom prints is Print Peppermint. They are also eco-friendly and use soy ink and recycled papers. I've checked their site and saw they have a 10% off promo on their print products.